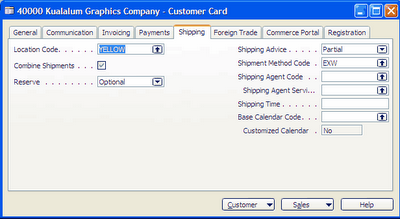 1) Navision can set the default location to use whenever you issue a sales order to a specified customer. 4) From the example above, location YELLOW is the default location for customer 40000 Kualalum Graphic Company. Location YELLOW will be defaulted to all sales orders issued to Customer 40000.